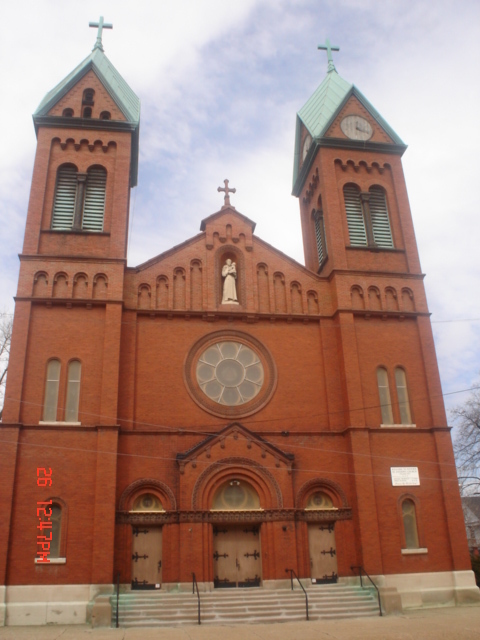 On Sunday, August 13th, my great aunt and I will be venturing down to St. Anthony’s Church, in Detroit, to attend the 160th Anniversary Mass. My aunt and I have attended several masses at St. Anthony’s over the past few years, and each time I am in awe at just how beautiful the church is and how warm and welcoming the congregation is. I admit, the first time I attended St. Anthony’s it was not to hear the Mass but it was to sit in the church that served as a beacon for the Chapman family for many years. But the highlight of sitting in the church for the first time was to witness the all the memories of my great aunt, who was married in the church in 1947, come flooding back. A few Chapman’s would be baptized and married in this church. Now every time we attend mass I make sure we travel through the abandoned streets in the area in hopes of bringing back some forgotten memories. 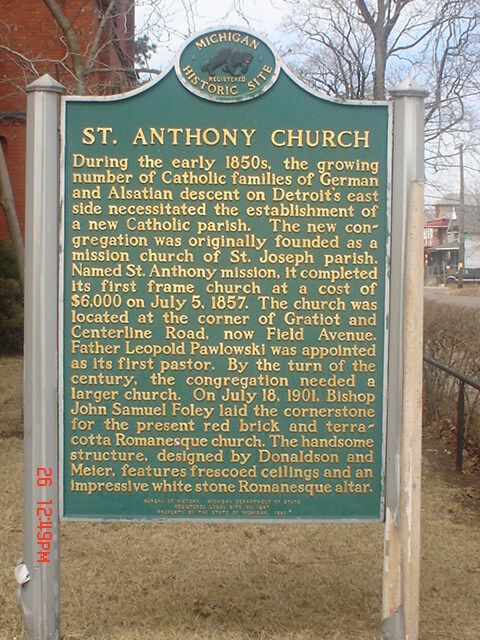 St. Anthony’s Parish was formed in 1857 by German farmers who were living in the area at the time. The parish would continue to grow up until the late 1960’s and ultimately the Arch Diocese would close the doors on the church in 2006 and they would merge with another struggling Catholic Parish. In 2010 the church doors would open again with a new owner, the presiding Bishop of the Ecumenical Catholic Church of Christ. The church has once again become a beacon in an area all but forgotten area. You can read more about the history of the church here. Below are some photo’s that I have taken while visiting St. Anthony’s as well as a photo of my father’s First Communion, that I proudly display on my wall at home. 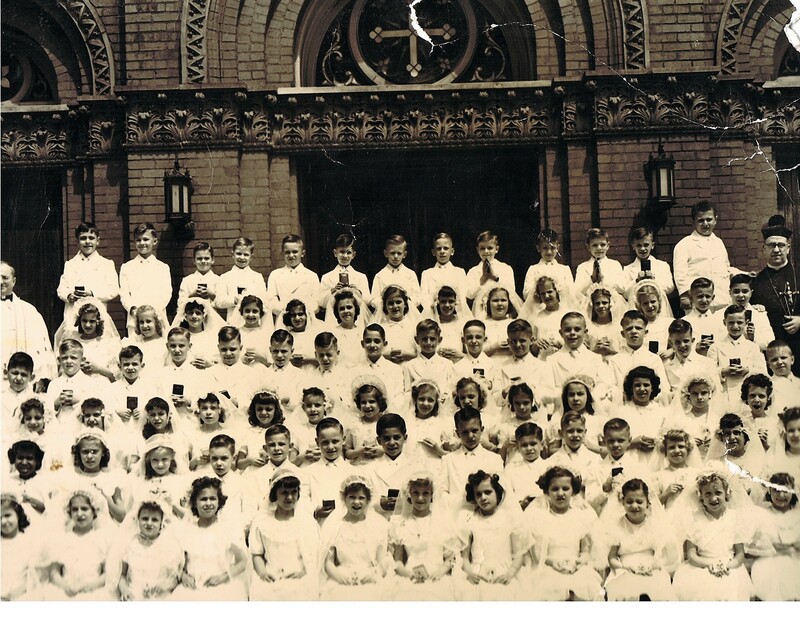 Holy Communion – May 18th, 1952. 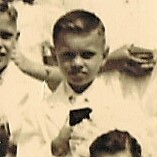 My Father at his Holy Communion on the steps of St. Anthony’s Parish. May 18th, 1952.